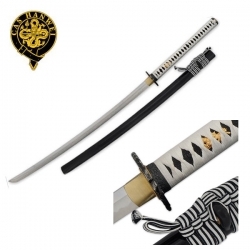 Koi Katana Hanwei SH2465. Nová profesionální katana od Hanwei, model pro rok 2012. T10 ocel, délka 114 cm. Bílá a černá barva. Nový model samurajského meče od Hanwei pro rok 2012. Katana určená k sekání cílů. Ocel: T-10 (nástrojová ocel, velmi tvrdá, 0,95% uhlíku). Čistící sada, sak na meč. Koi Katana from Paul Chen has a hand-forged T10 high-carbon steel blade. The blade on this katana is differentially hardened using the traditional claying method. 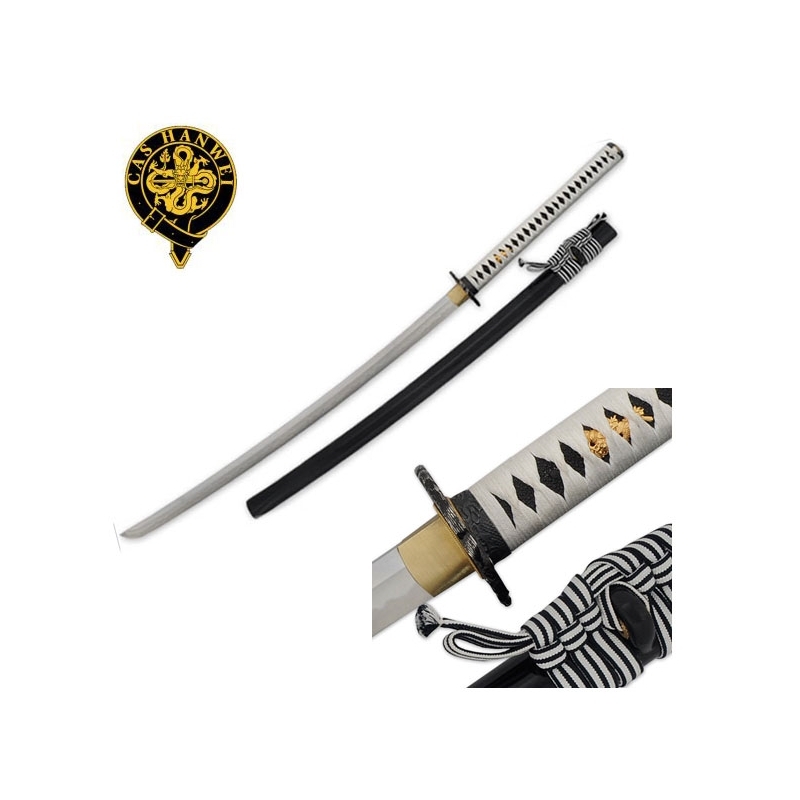 The Koi Katana is mounted in black and white and features black same, the tsuka-ito is made of premium white Japanese cotton. 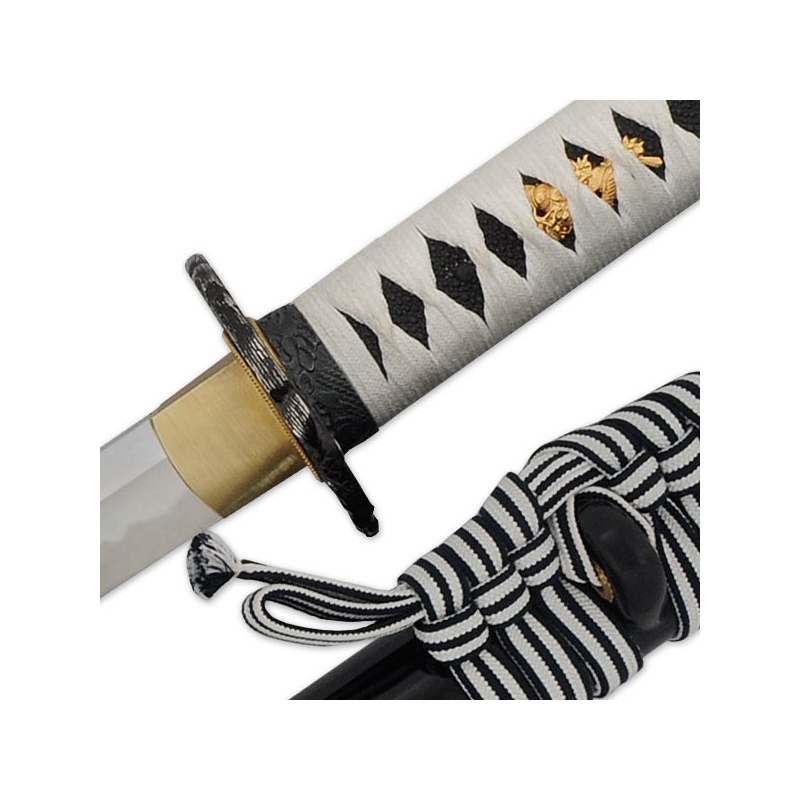 The saya is finished in a deep black lacquer with a black and white striped cotton sageo. A finely rendered Koi, with true front-and-back detail, forms the black iron tsuba. The fittings are superbly antiqued adding to the aesthetics of the piece. 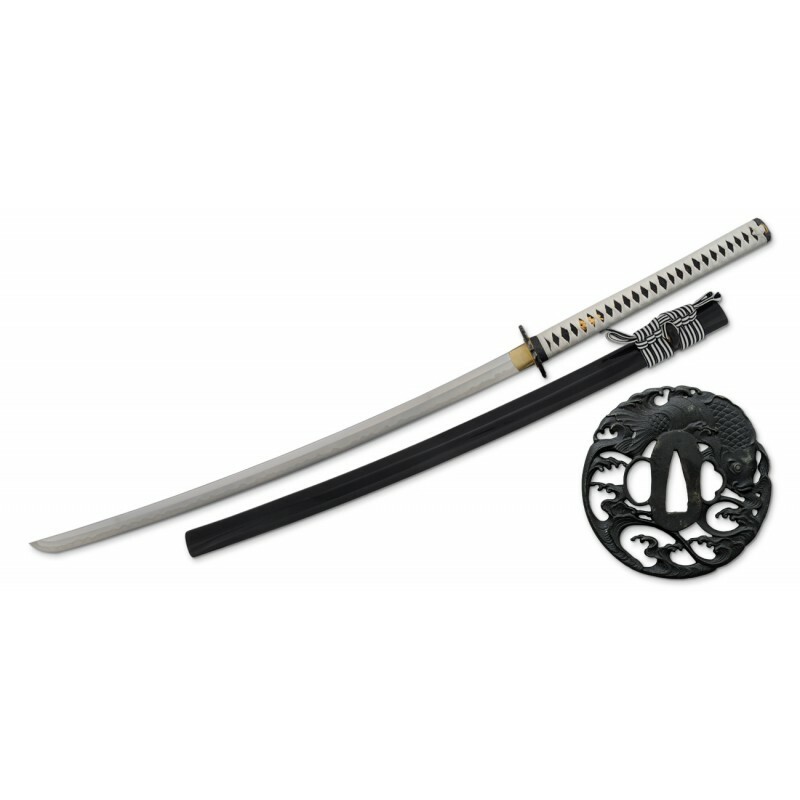 The Koi katana from Hanwei is supplied with a protective cloth bag and traditional maintenance kit. It is said that a Koi swims up rivers and climbs waterfalls with bravery not unlike a Samurai warrior. As well, it is said that if a Koi is caught, it will lie still beneath the knife, facing its death bravely like a Samurai facing a sword. Point of Balance: 5 1/4"